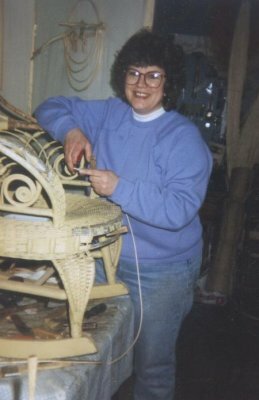 Several years ago I repaired/restored a small child’s wicker rocker for a customer that had used it when she was young. 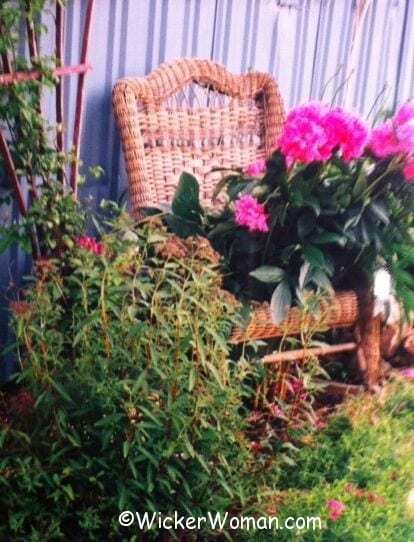 I believe she said this family heirloom wicker rocker had been made around the early 1900s-1920s. I just stumbled across more old pictures of the repair process, that had been on an old floppy disk that were used in my old Panasonic digital camera from back in the 1990s. 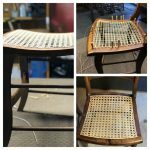 So here are the photographs of the repairs made, step by step. 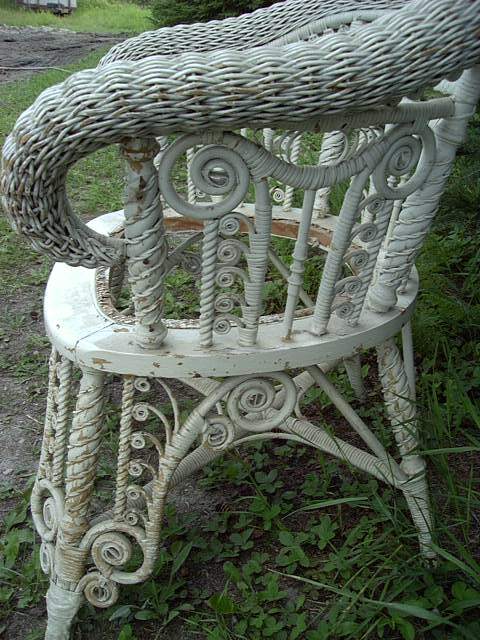 The owner was going for the “shabby chic” look here, so didn’t want to remove the old red paint. I wouldn’t either, think it’s darling as is in flaky red, don’t you? Enjoy! Step #1. 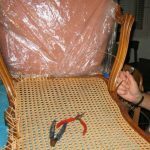 Damage was extensive and the round rattan reed was pretty dried out, broken and crumbling throughout the seat and back. So almost all had to be removed and replaced with new reed. Step #2. 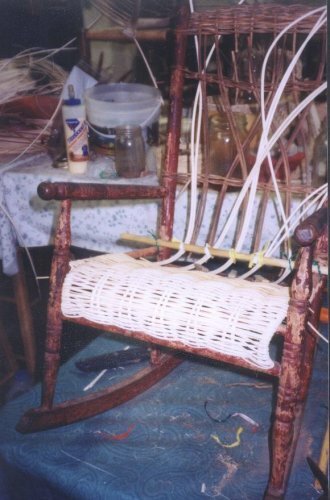 I did however, leave the old strands of reed to use as a pattern to go by in reweaving the new rattan reed spokes and weavers. But in this photo, I’ve already taken off most of the reed weavers and spokes. Step #3. Replicating the pattern exactly as it was originally made. Using twist ties and wooden dowels to hold in place. Step #4. 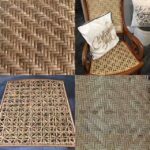 Completed rolled and arched wicker back head rest area and fitched “X” design on the back. Step #5. 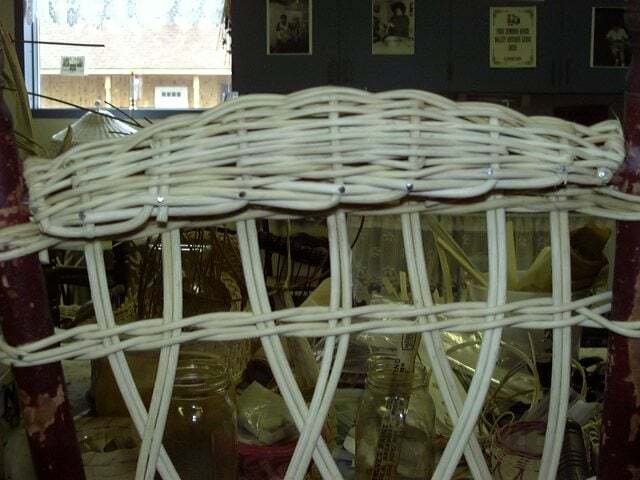 Child’s wicker reed rocker is completely repaired and ready to be either painted or stained by the customer. Isn’t this just the cutest thing you’ve ever seen? Fine place for a teddy bear, dolly or even a grandchild to rock away a lazy afternoon! 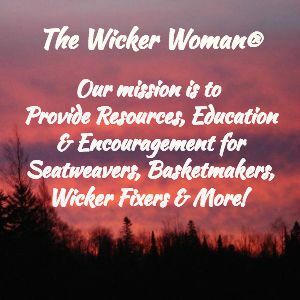 I have done only small wicker repairs on buggies and chairs as I feel I have the basics down. 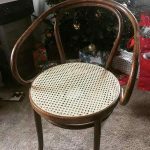 But I have turned away many more jobs as I felt they were over my head or the work that was needed cost far more then the chair was worth. Are there any U-tube videos or books that would help me get better at this. 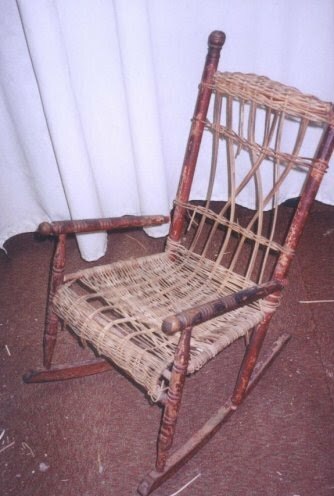 I recently picked up a child’s wicker rocker that has had it’s back supports cut off and a tombstone type back rest put in its place. 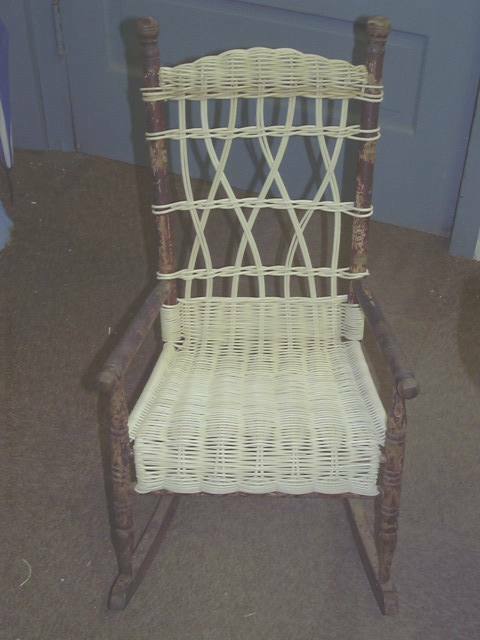 It also has a pressed cane seat in it. 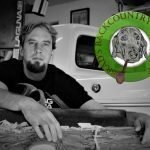 I thought this might be a nice little winter project for me to learn on. 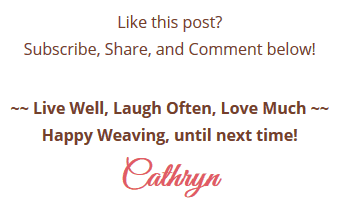 Cathryn, Fabulous job ! Loved the pics !